Treatment with Invisalign is more comfortable than treatment with traditional metal braces. Invisalign clear aligners can be removed by the wearer to eat and clean the tray. This makes eating and drinking, brushing and flossing, and cleaning the aligners much easier. Patients being treated with Invisalign also avoid any irritation that might be caused the wires and brackets associated with traditional braces. The time that it will take for the teeth to move into their proper positions with Invisalign for adults is often less than the time it might take with traditional braces. The course of treatment with Invisalign is typically one-and-a-half years. 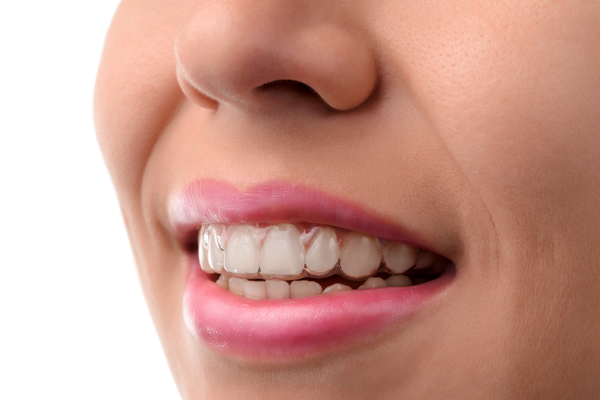 Metal braces can take up to five years to be effective. Most dental insurance plans cover Invisalign for adults just as they would other orthodontic treatment options like metal braces. Speak to someone on the Walker Orthodontics team as well as your insurance provider to determine what financing and insurance options are available.